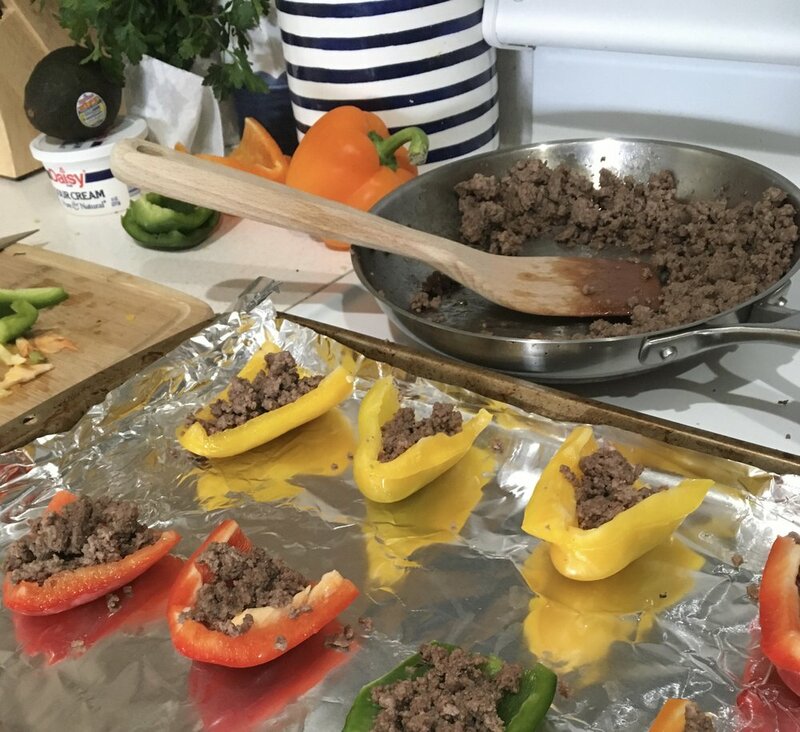 KETO RECIPE: Beef and Bell Pepper "Potato Skins"
As most of you know, I love sports and all of the game-watching foods that go with them. These Keto Bell Pepper "Potato Skins" are a perfect substitute for the real thing. The large slices of crunchy bell pepper act as the "skin". You can add classic fillings or spice it up. 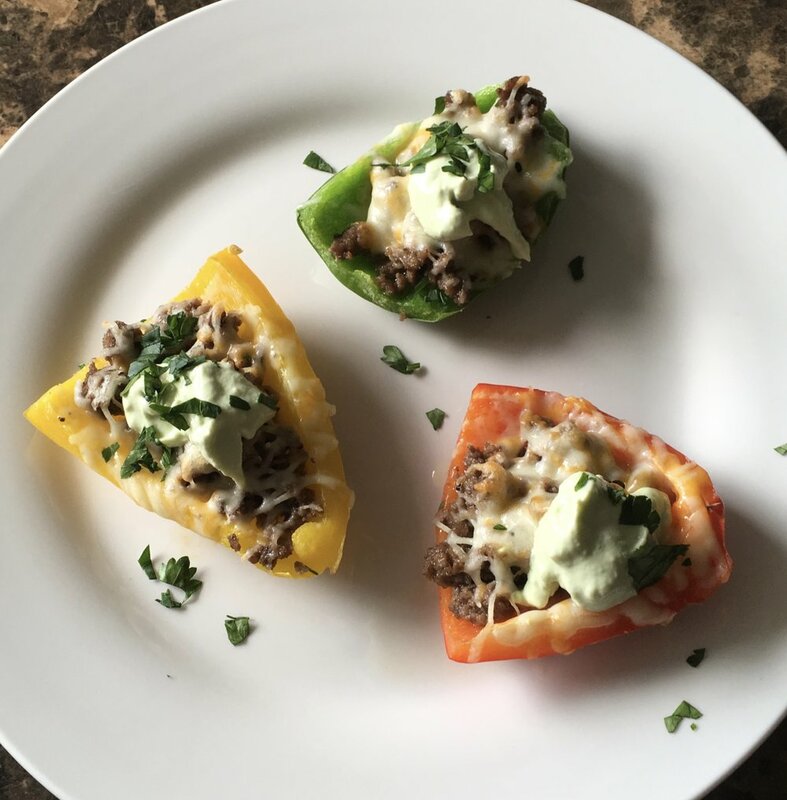 These Keto Beef and Bell Pepper "Skins" are colorful and delicious. 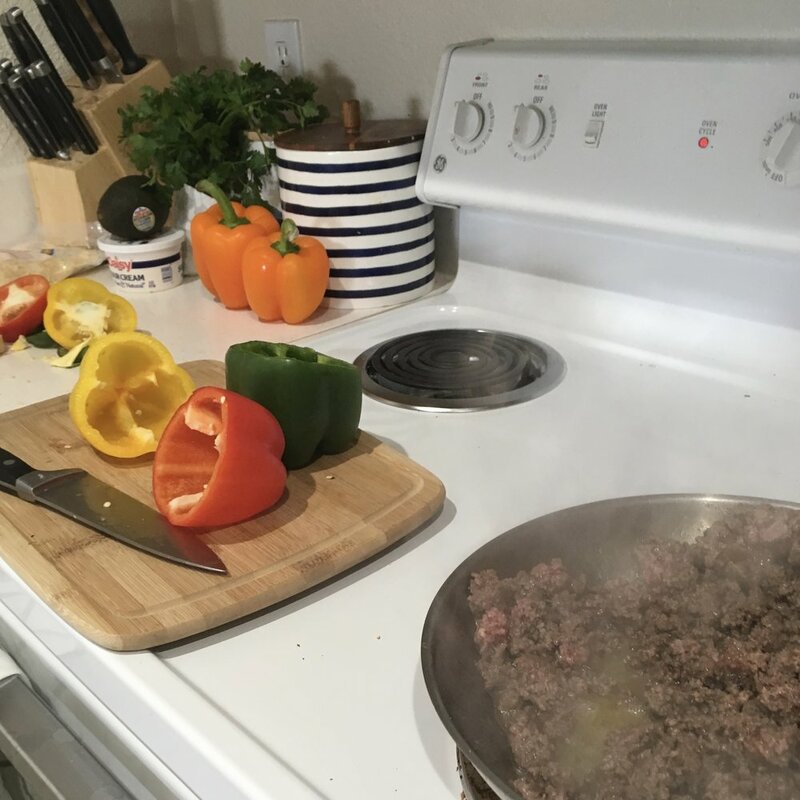 I use large organic bell peppers: I like to get an assortment of colors to really make the dish pop! For this recipe, I used grass-fed ground beef. 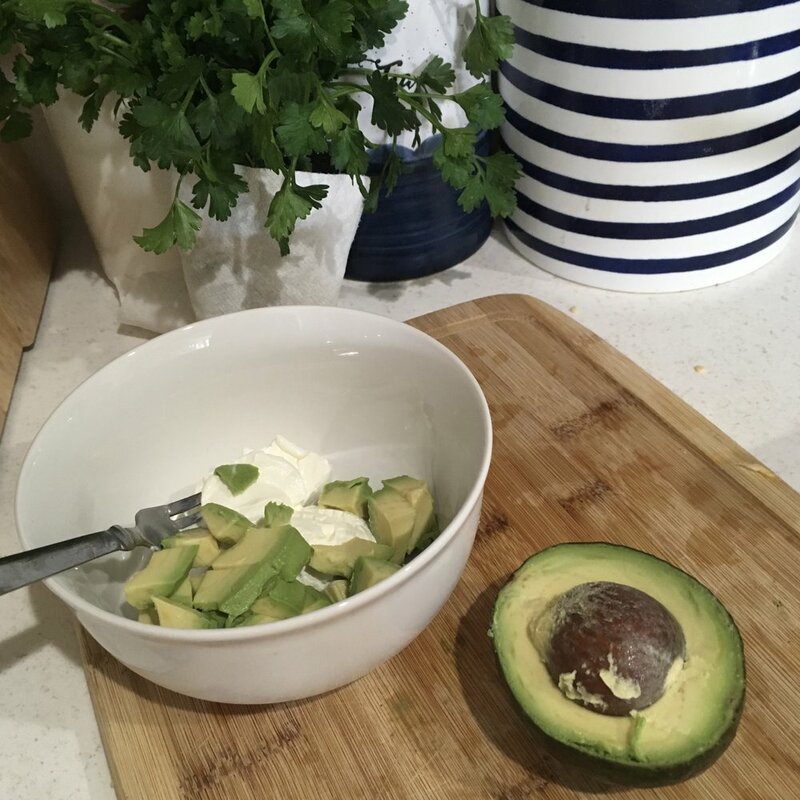 While the skins were in the oven, I whipped up some Avocado Sour Cream to add on top. The final product is colorful and so delicious. The "Skins" look beautiful when plated up for guests. Or you can enjoy these all by yourself.